South Asia is home to the world biggest un-official prison. It is not located in the Alps or down by the Red Sea, River Nile, Saudi Arabia or by the Gulf of Hormuz. It is the beauty of deception that the oldest most secure prison remains hidden from human eyes like a deep sea island of the forgotten. The valleys that speaks a thousand tales of pain is now the valley of death. As we venture on with our lives, somewhere out there trauma reigns & the stigma remains. The World of Kashmir – The Valley of Death speaks of the injury of an entire population forgotten, a race reduced to oblivion. The unheard voices of the People-Prisoners of Kashmir. Over 50 people were killed by armed troops with over 3,100 civilian injuries. 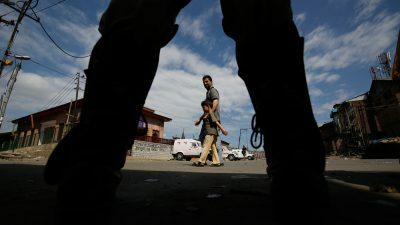 Instead of opening political negotiations to address Kashmiris’ calls for independence, India continues to unabashedly use military force to maintain a status quo that for years has suffocated millions in the region. Kashmir has been under a virtual shutdown over the last 25 years, a norm that has not been challenged by the world at large, while they talk about Benghazi, Baghdad, Kabul, Karachi, Rangoon, Istanbul, Aleppo or in recent times, Paris or Brussels. Could it be a media blackout in Kashmir? Is the State responsible for the perpetual use of force? Is the UNSC ignorant or looking away? Is India responsible for massacres in Kashmir? Is Kashmir being ruled by fascists? Dictatorship is Fascism. No difference. Fascism is a radical authoritarian political ideology, governed by a leader who exercises dictatorship over the government and all state institutions. A fascist regime is a vanguard party, rejecting the conventional democratic system by force and frenzy. In more ways than one, most of the radicals are also fascists, but there are severe implications on being a fascist entity, individual, government or military. The People of Kashmir have been held prisoner for decades – their Mosques are destroyed, schools are bulldozed down, the roads and bridges are blocked and there is a black curtain over all of state media, television and radio. 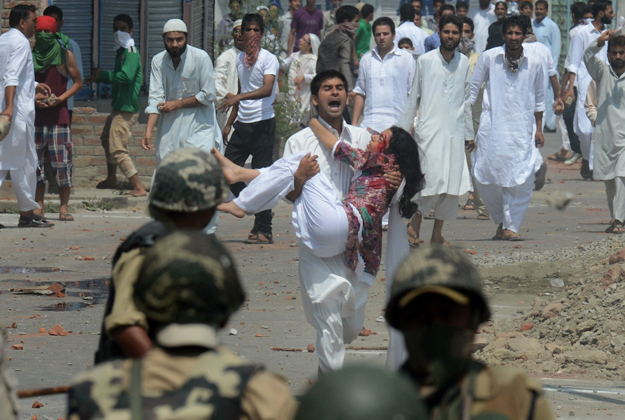 The Muslims of Kashmir want the freedom that they have earned, not just deserved. It is the land of the free and home of the brave in the truest sense, unlike others who claim the same. 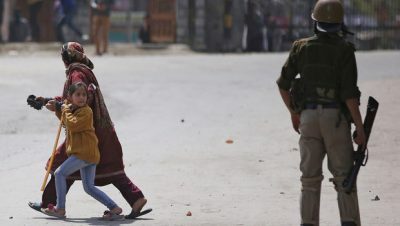 Indian Occupied forces have armies standing inside cities, outside pathways, next to hospitals and next to colleges and schools – raging extreme fear and anxiety in the lives of the subjugated populations that demand justice and their only hope is God and resilience. Kashmir is the rightful property of its citizens but there is no writ, law, legal cover, protection or rights for the people who live and breathe as Prisoners on their own land. Weekends of bloodshed are evident as the world watches in silence as civilian casualties are under reported or practically barred from public eye. This is no news today on world media channels, no BBC or CNN updates on the most horrific human rights violation in the history of mankind. Why the Blindness in this case? Is it the case of being Muslim or otherwise? It is not the presence of war that is the problem as we all know that wars are being documented every day and reported globally. Here, it is the absence of Justice that no one is covering the day to day horror that is being buried away completely. Then there is disdain for the recognition of human rights, where leaders are persuaded by their think tanks that human rights can be violated and ignored. The Global Population tends to look the other way as people suffer torture, executions, assassinations, incarceration and death by dishonor. This justifies a legitimate need for peace for this lonely nation. Despite having military supremacy around the world and fighting countless battles for truce and reconciliation, the United Nations Security Council has done little to address this biggest single tragic event of the century. 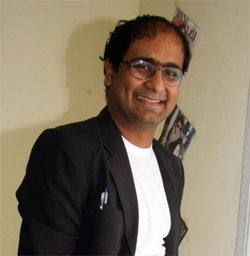 UNIFIED CAUSE, a planned objective to address the matter, has been dropped from the world agenda while others, whether ethnic or religious minorities; liberals, communists, socialists, or activists- no one speaks about Kashmir. In the 70s Led Zeppelin paid tribute to this land of beauty and serenity. But that was four decades ago. 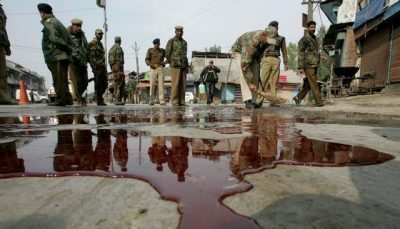 Today Kashmir is the blood war that refuses to end. Forced and unjust military supremacy thrives in Kashmir where the International Court of Justice is still contemplating a decisive response that has not been delivered. Rampant killings, rapes, murders and sexual assault and discrimination as innocent women and children are suppressed by the barrel of the gun as Occupied Forces from India continue to block media and refuse entry to Muslims from other countries raising the bar on barbaric cruelty and injustice. The government is a mask – the media plays a weak role claiming to be free but only free enough to be partial and deny the real story to the world. Sensationalism is ruled by the powerful and the elite, other nations who are using Kashmir as the proxy to ensure civil chaos within the region. The common majority issues never come to light, unless triggered for a higher political agenda or means to get politically elected. Media and Governance has failed its people. Un-recorded civil and human rights abuses and under-reported incidents of violent crimes and punishment are at an all-time high in Kashmir. Real patriotism is enlightenment and education for its people to grow into vibrant societies and respect for law and the constitution. Kashmir needs to be set free from atrocity and cruelty. Free expression, whether visual arts or contemporary fine arts, theater or film; is in oblivion, and the social media is constantly under watch, as fascist nations do not promote intellectual thought as a practice with the academia. Rampant corruption is openly watched and seen as the legal system does not protect the oppressed. Government powers protect their friends from accountability and the courts are victimized simultaneously, through bribes and kickbacks. National and cultural treasures are stolen and funds are misappropriated by Occupying Armed Forces. In Kashmir, billions of dollars are being sent to retain forced armed conflict upon an innocent society. Kashmir is a Prison for the very children who were born there. In a free world, citizens treated as prisoners are being tortured. Food emergency, water crisis, lawlessness, corruption, nepotism, gang wars, protests, judicial killings and a full blown war carry on without any limits. Today, there are people on the streets, tired and dejected, fatigued and frustrated; as they feel abandoned by their leaders and the world at large for being silent. The world is almost ‘Racist’ here, for lack of a better word. The sky burns a sea of flame inside Kashmir. India and Pakistan must act with prudence and India must release its illegal occupancy to let people vote for the freedom to live the life that God has granted. In the end there is a God up there for all forms of fascism and dictatorship, which they forget very conveniently. No more deception on Kashmir. More today than ever, the Prisoners of Kashmir must be set free. The blood work must end. Leaders are here to get vote and then get the best seat.They don't really care about Kashmiris. They always say they will do something for Kashmir but they never fulfill their promises. Kashmiris are suffering because Muslim ummah is busy in their own life,no one is ready to take any action. They feel bad for them but just feel, they do nothing else.